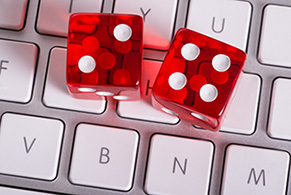 CASINO INDUSTRY AFFIRMS COMMITMENT TO CSI. 30 October 2018. The Casino Association of South Africa (“CASA”), which represents all but three of the 38 operational and legal land based casinos in South Africa, publishes an annual survey of the local casino industry that provides a snapshot of what is happening amongst its members. Its latest edition bore testament to fact that CASA members have a strong commitment to uplifting the communities in which they operate, which was supported by Corporate Social Investment (“CSI”) spend of R143 million for the financial year ended 31 March 2018. Besides constructively contributing towards policy decisions that advance the interests of the casino industry as well as the growing public that it serves, CASA also promotes good governance, which extends to members committing 1% of their annual gross gambling revenue to CSI programmes. Of the R143 million spent in the year under review, educational trusts and bursary schemes were the largest beneficiaries, receiving R64 million. This was followed by R30 million that went to community development projects. Health and welfare programmes received over R17 million, while sports, arts and culture received R7 million. R10 million was spent on a variety of other worthy CSI projects. Another important recipient of CSI funding is the South African Responsible Gambling Foundation NPC (“SARGF”), which annually receives 0.1% of CASA members’ gross gambling revenue, which equalled R15.6 million for the year under review. The National Responsible Gambling Programme (“NRGP”), which is delivered by the SARGF, is internationally acclaimed for its sound practices which are targeted at eradicating irresponsible gambling and is a leading example of a collective industry approach to ensuring responsible gambling, which underpins the sustainability of the industry. To download the full Survey of Casino Entertainment in South Africa for 2018, visit the Casino Association of South Africa’s website at www.casasa.org.za.